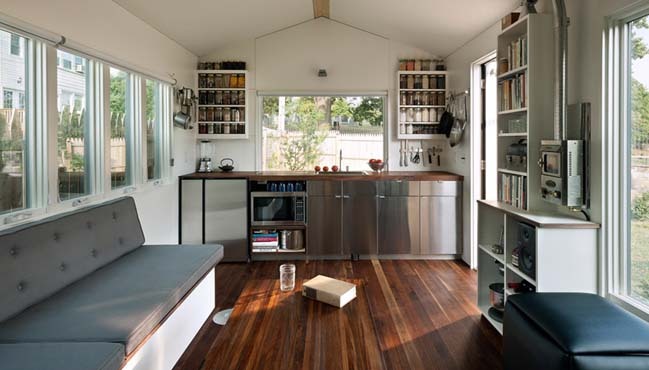 Minim House is a mobile tiny house that was designed by Foundry Architects to create a comfortable living space for two adults. 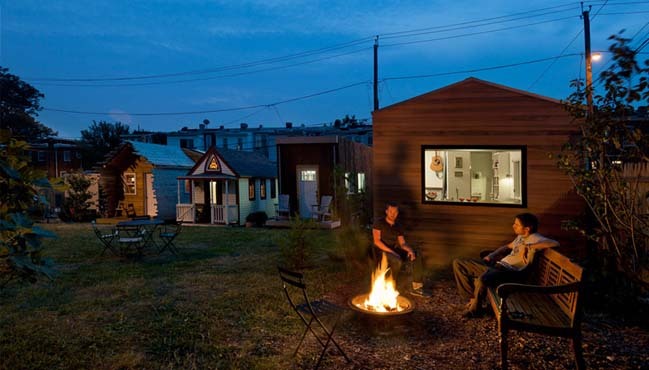 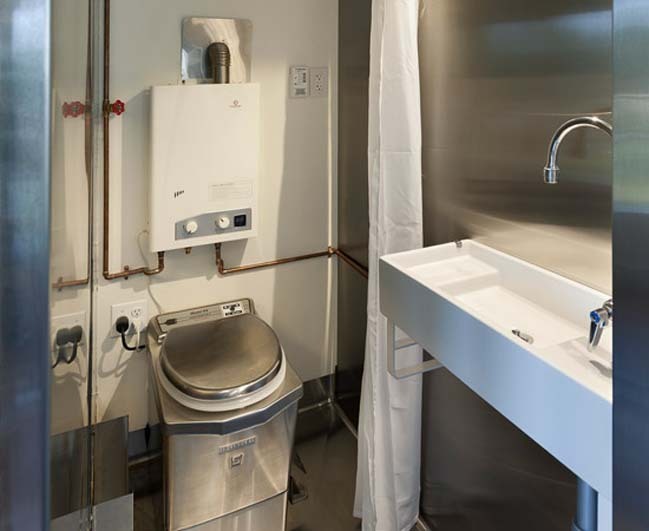 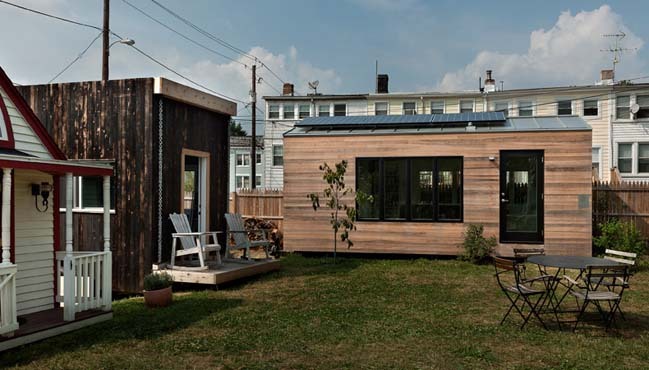 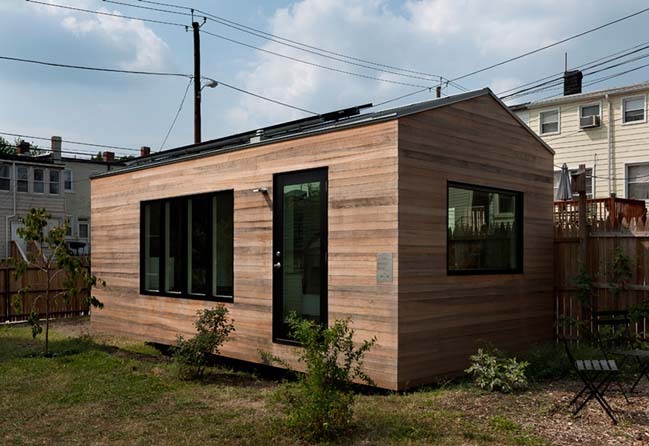 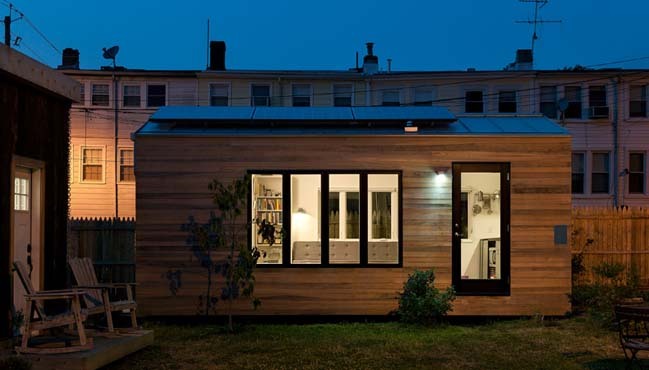 Project's description: The 'tiny house' movement is gaining traction in several parts of the United States, and its philosophy is based on living in the smallest possible footprint, often on land that would otherwise go unused or underused. 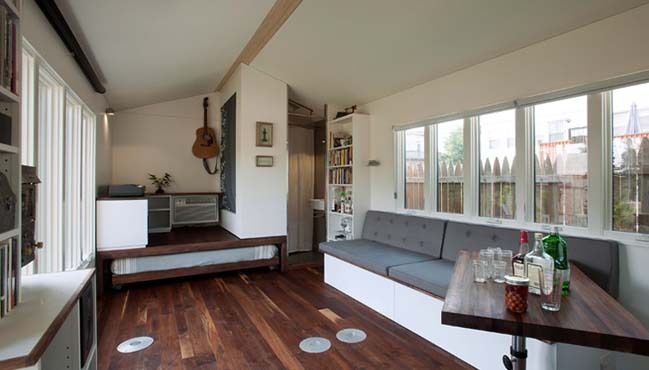 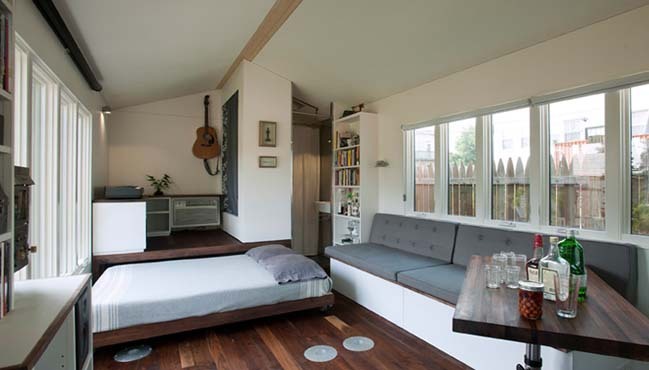 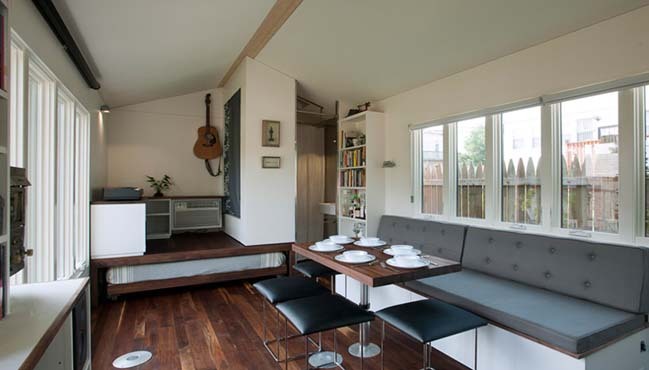 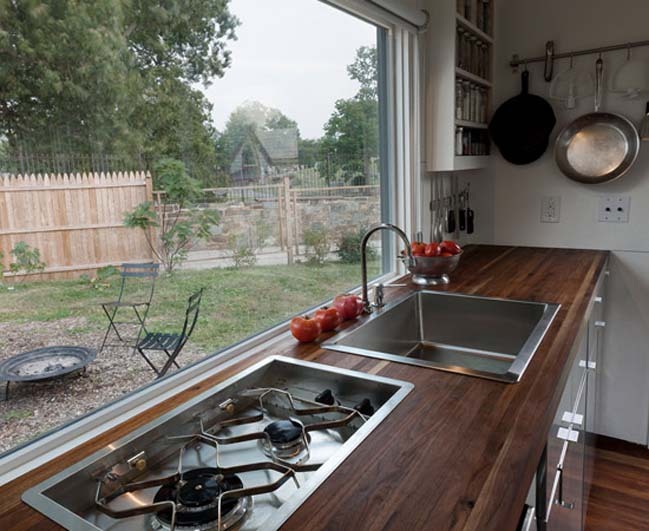 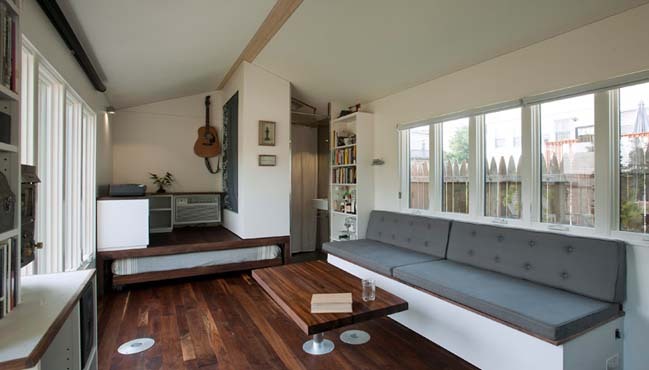 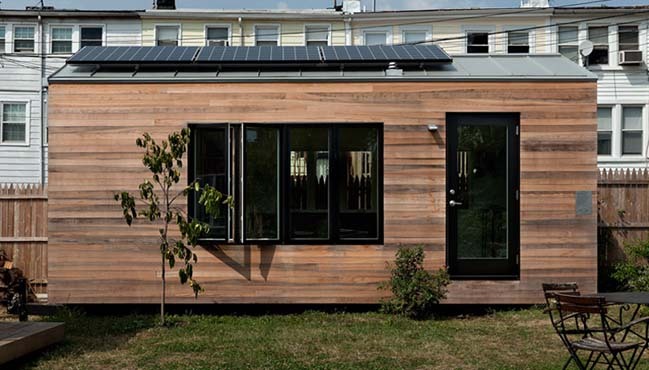 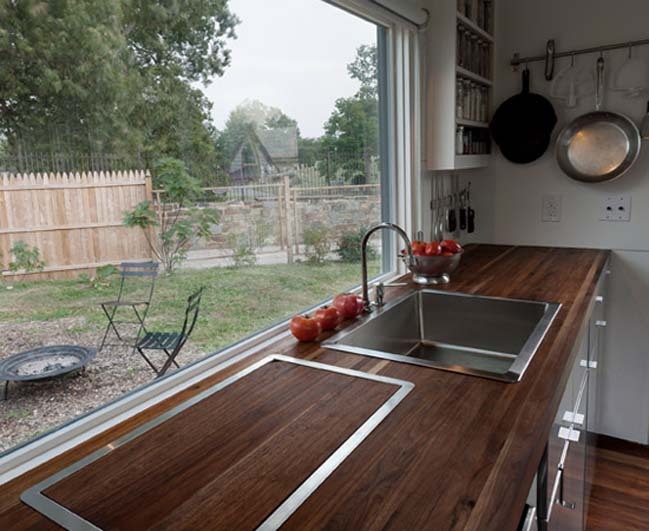 The Minim home is an extremely efficient and sustainable prototype measuring just 11′ wide by 22′ long. 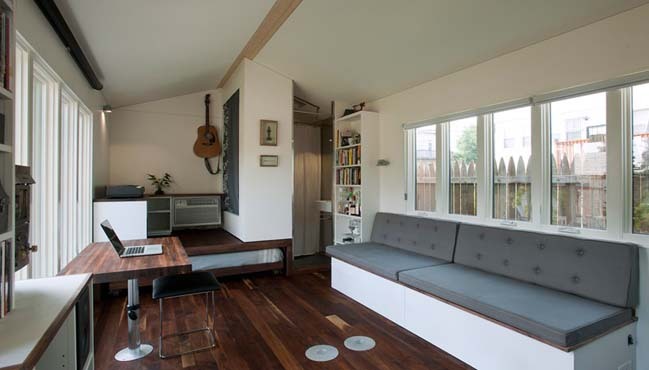 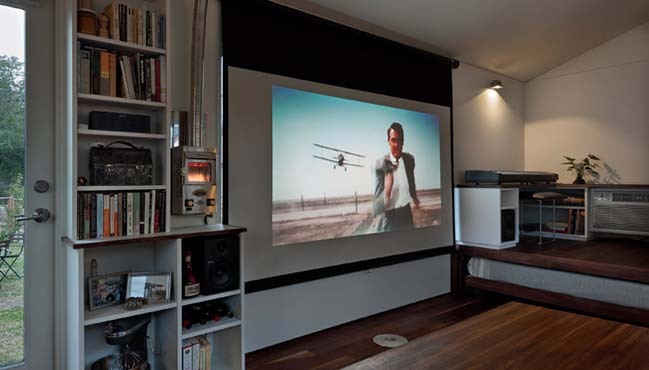 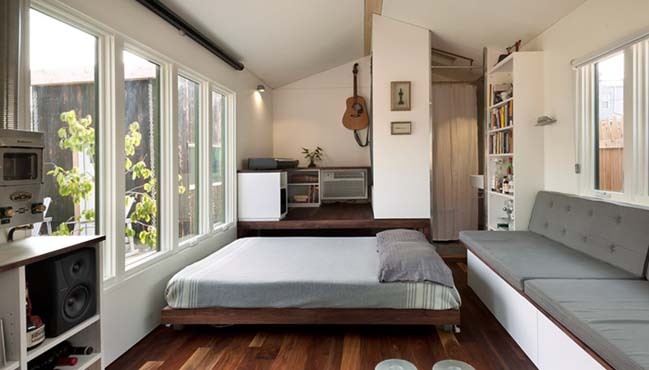 The interior space is meticulously designed and detailed to create a comfortable living space for two adults. 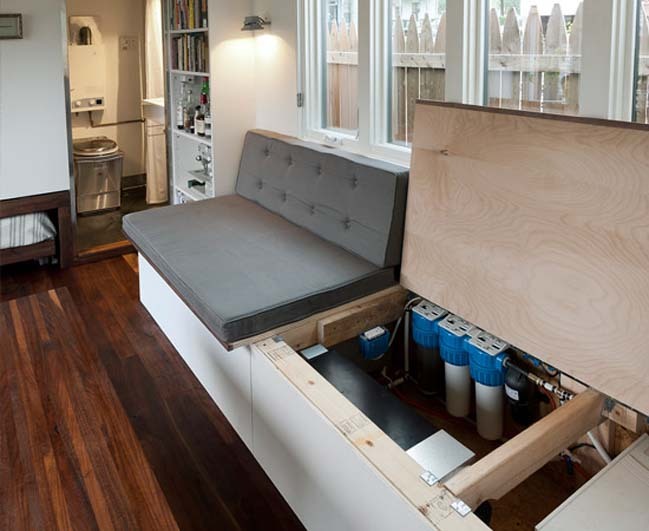 Movable items like a custom hydraulic table and a roll-away bed enable the space to be configured in a multitude of ways.